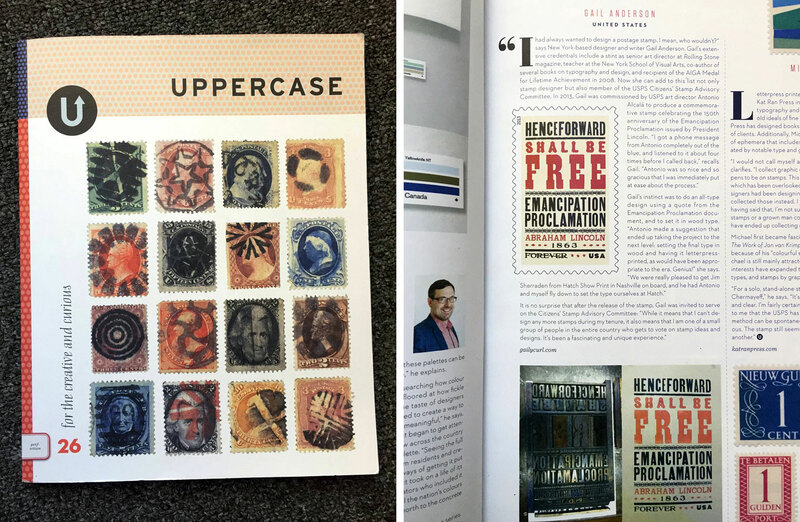 Uppercase magazine (“for the creative and curious”) published several articles on the art of stamps in their July–September issue. 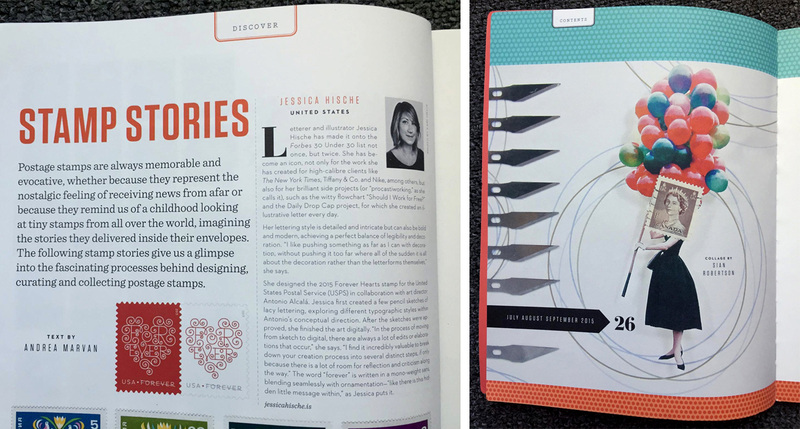 We’re pleased to see projects we did with Jessica Hische and Gail Anderson featured! It’s a fun magazine published, edited, and designed by a single person! Check it out at uppercasemagazine.com. Thanks for the tip Pat Taylor!